Enter the Activation code from the 100 pack of SIMs and Submit. Here's how to import the sim card into BOSS. Click “BOSS” at the top left. Click the "File" radio button. Select an excel file with the IMSI(s) of the sim card. You can export a Template first and then populate that template. Next, to complete the process you have to add the subscriber to BOSS and provision the service plan to the subscriber. Click “Subscriber” on the left menu. Click “New” to add a new subscriber. 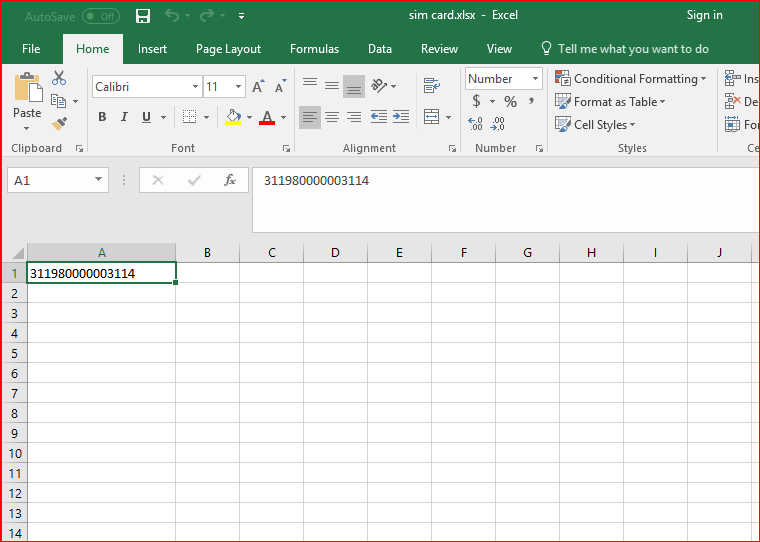 The Excel file format (below) can be downloaded from these pages in the above steps. ISP Supplies sends the properly formatted Excel file at the time of shipment via email. Once the SIM cards are activated and your base station is in “Active” state, all that should be required for UE connectivity is to insert the SIM card into your UE before powering on. The UE will then automatically scan for and associate with your base station.